Find your own classic wardrobe, and get some sanity! If you’ve been reading my blog for a while, you’ll know I debated for a long time over whether to replace my old (1997) little two door hatch. My old car. 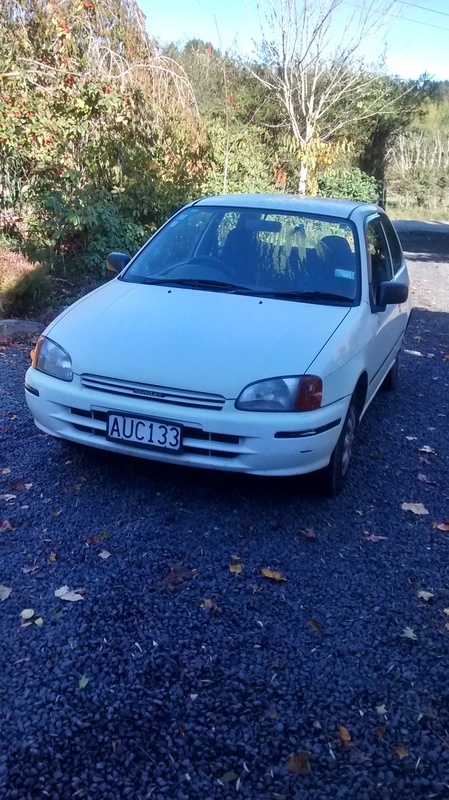 A 1997 Toyota Starlet. It was too old and too small, and time to update. Sometimes things need replacing. After lots of thought, I decided to upgrade. My old car was getting too small for my very tall ten year old to even get into the back seat. The radio didn’t work. The demister took forever to demist the windows in the morning. The heater wasn’t great. I was paying a lot of money every time it went in for a service – just on little, niggling things, but it was a pain. And I couldn’t fit my elderly parents into my car comfortably every time they came to visit. There were other reasons as well. I felt poor driving it. I’m not a poor person, but I felt that way, running the cheapest car on the street. I know that shouldn’t matter. I told myself that shouldn’t matter. I berated myself for even feeling that way, and began to feel guilty for, well, for wanting something better. Does everyone who tries to live simply go through this stuff? Anyway, a couple of weeks ago I upgraded. And I’m thrilled with my new car! My new car. It’s lovely, and I’m very happy with it. 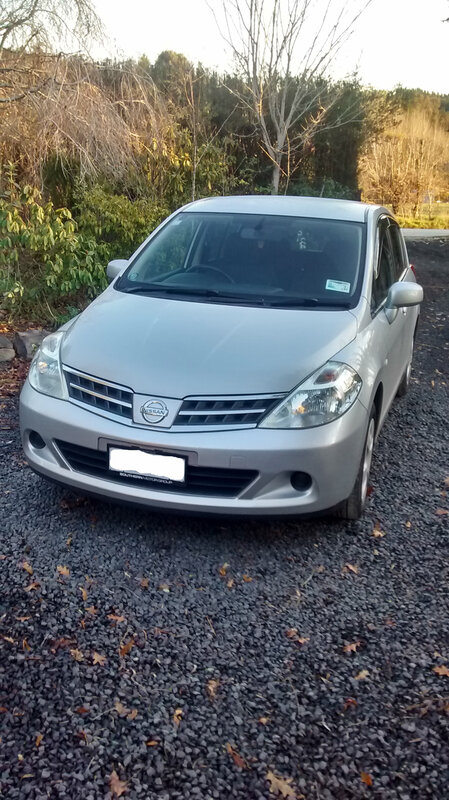 I bought a 2010 Nissan Tiida. 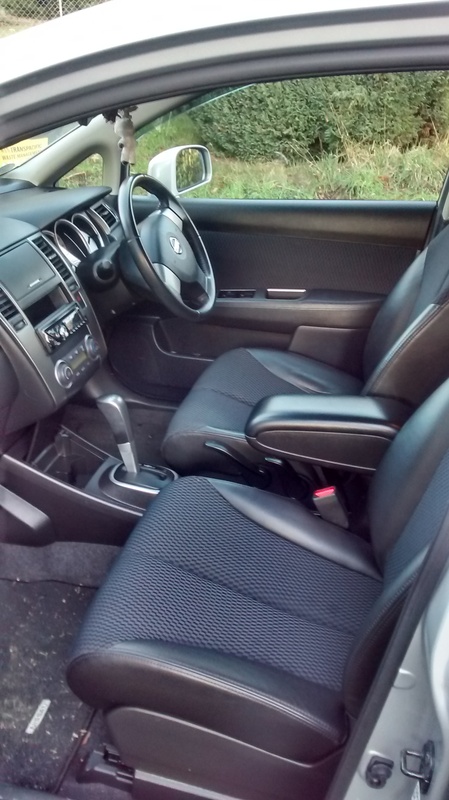 The luxury model, with leather trim interiors, and a great stereo and heater. It’s lovely to drive, it’s a four door, so the kids can get in the back without a squeeze. And it’s very economical. Inside my new car. I’m loving the leather trim 🙂 And can you tell I live in the country by the fact that the floor is muddy already? LOL. All I can say is, I wish I’d upgraded sooner. I wish I hadn’t waited. That’s a lovely car choice! Good for you. You definitely don’t need to be a pauper to have simpler life. Thanks 🙂 I’m really happy with it. Good for you! My dad always named his cars, as well. The Geo was called George (later Georgette when he gave it to me), and my Element is, of course, called Ellie. Looking forward to learning your car’s name.